For this episode of Speculating Canada on Trent Radio I examine Canada’s first superheroine Nelvana of the Northern Lights. Dressed in Blue and Green with a fur-trimmed skirt and green cape with northern lights dancing around her headband she flew around wielding the powers of the Northern Lights to keep Canada safe from invasion, pollution, and destruction while venturing into worlds beneath the arctic and in the static within radio waves. Written by Adrian Dingle during WWII, Nelvana of the Northern Lights portrayed a particular brand of Canadian identity – embodying the North and exploring notions of Canadian identity and the indigenously superheroic. Take a moment now to find out about this superpowered woman (who predated Wonder Woman) who represented a particular brand of Canadian identity at a time of insecurity and uncertainty. 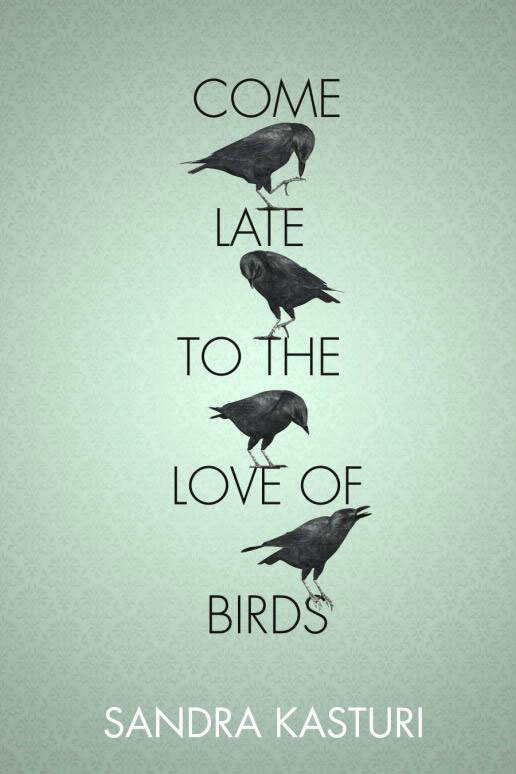 In her poetry collection Come Late to the Love of Birds, Sandra Kasturi creates a spectral reality, an assemblage of words that makes the familiar strange and the strange familiar. She reveals the extraordinary in the natural, taking scenes of everyday life and introducing an otherworldly quality, a nuance of language and image that breaks down the notions of what is real. The figure of the bird provides a framework for this strange-making process, an animal that is both fundamentally natural and present, but also simultaneously distant, ethereal, coded with otherworldly flights of fancy. She fixes the reader with the animal gaze, a gaze that is both common and completely Other, and that gaze finds humanity wanting. She helps to estrange us from our hegemonic ideas of humanity – our belief that we are superior to nature – and makes the reader question their taken-for-granted beliefs about the appropriateness of their impact on the environment. Come Late To The Love of Birds is an interplay of the mythic and the evolutionary, revealing that neither in science nor in mythology can one find a complete picture, but it is through the interplay of the critically realist and the transcendently fantastic that we are able to see the complexity of the world around us. She titled a section of the collection “Hieroglyphs of Wind”, and in that phrase, she reveals the key to her poetic craft – the infusion of her breath with an occult quality of words, beyond simple meaning or singular expression. Her words are imbued with complexity, multiplicity, and a deep interplay of meanings. Her poetic art is simultaneously completely natural and wholly transcendent. To discover more about Sandra Kasturi and her work, visit her website at http://sandrakasturi.com/ . 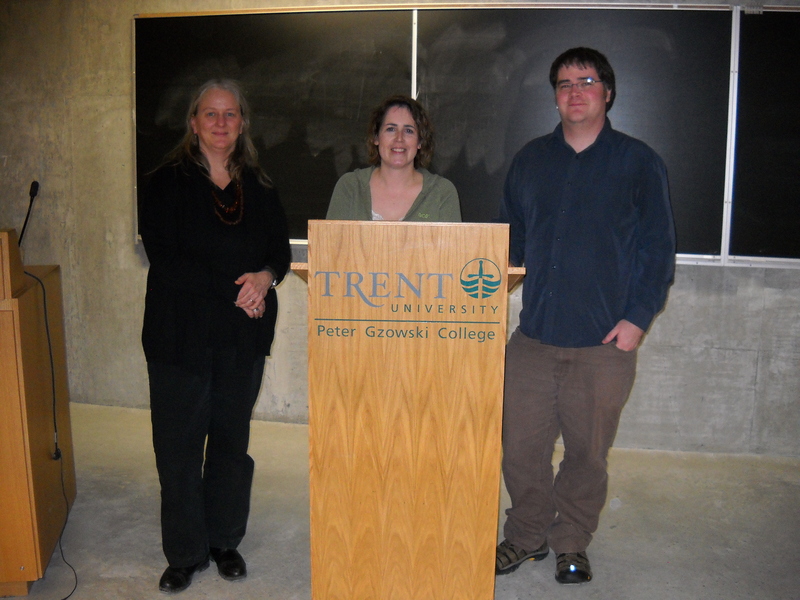 Photo of Kelley Armstrong (centre) with Ellen Bentzen (left) and Derek Newman-Stille (right) at a lecture at Peter Gzowski College, Trent University. Kelley Armstrong was the first Canadian author of the fantastic that I found and enjoyed. A few years ago, I was able to have Ms. Armstrong visit Trent University to be an author in residence for Trent’s Champlain College and Gzowski College. It was an incredible experience for our students and an amazing experience for myself. I want to thank her for this opportunity to do an interview. 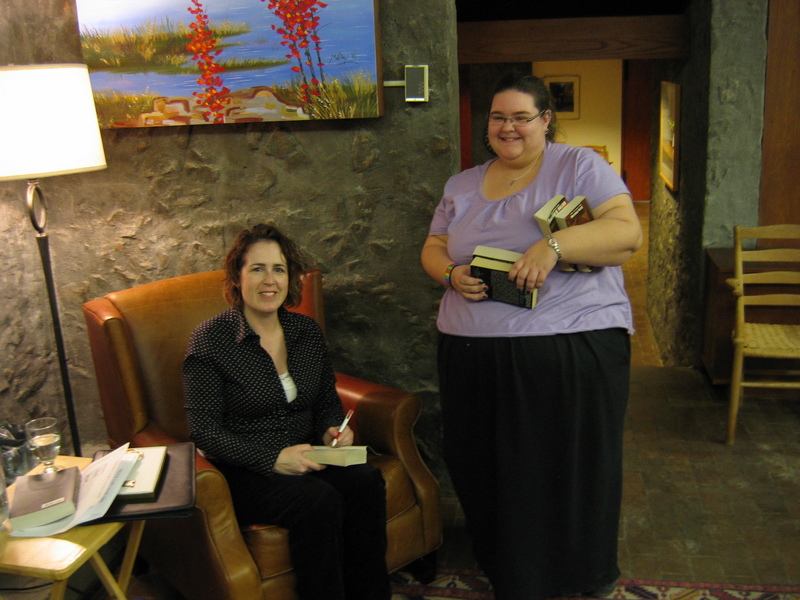 Kelley Armstrong is the author of the Otherworld series and the Nadia Stafford Series. Spec Can: Could you tell us a little bit about yourself to begin the interview? Kelley Armstrong: I’m the author of the “Women of the Otherworld” paranormal suspense series and “Darkest Powers/Darkness Rising” young adult urban fantasy series, as well as the Nadia Stafford crime series. I grew up in Southwestern Ontario and I still live there with my family. Spec Can: One of the things that really impresses me about your work is your ability to get into the psychology of the monster and really understand what feelings and hopes they have. Do you feel that your background in psychology helps you to explore the minds of your characters? Kelley Armstrong: I like to think it helps me with character development. If I want a character to turn out a certain way, I can come up with a back-story to explain her personality. Likewise I can start with a life experience and decide how it could affect a character. Spec Can: What aspects of your Canadian identity have influenced your authorship? 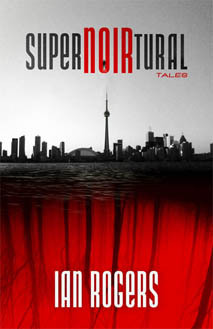 Kelley Armstrong: It makes it easier to do Canadian characters and settings [smiles] On the other hand, it makes it harder to do American ones, and that’s where a lot of my stories are set, for the simple fact that I can have a larger cast of supernaturals that way—it’s easier to speculate that so many supernatural beings go unnoticed if the population is much larger. Beyond that, I don’t feel it’s had much impact on my opportunities as an author or how I’m treated. Kelley Armstrong: There are differences in the markets. What is a bestseller in the US will not necessarily be a bestseller in Britain. That’s the same for all geographic areas—Canada also has differences from both. The literature produced in our country reflects the differences in regional taste. I’m not sure it affects the supernatural aspects of the story as much as the general ones—the tone, the themes etc. Spec Can: What teaching role can speculative fiction have? 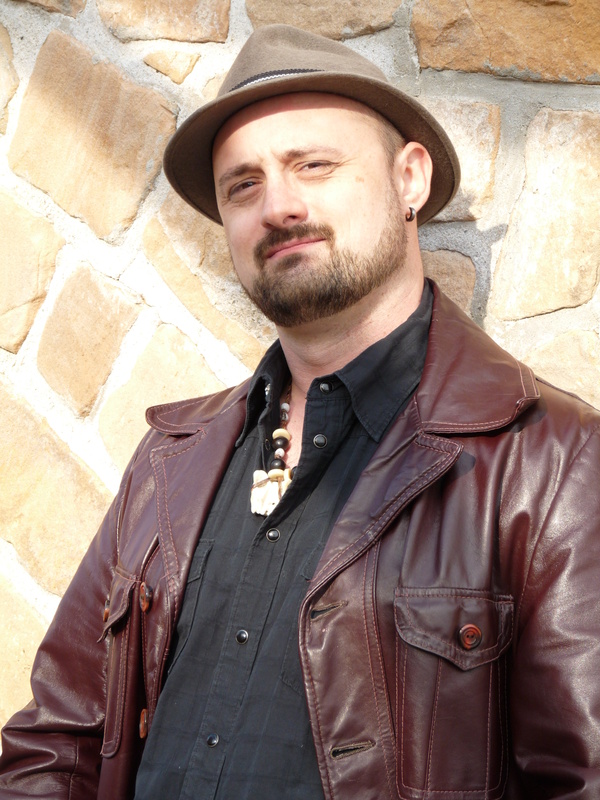 Kelley Armstrong: Speculative fiction helps expand the world of possibilities. Readers—and students—see new possibilities for new ways of thinking and living. The fact that it takes place in a fantastical world often makes it easier to consider those challenges and issues, divorced from the emotional baggage of a reader’s own world or experience. For example, science fiction novels often include elements of racism—how does one alien race treat another—and that allows readers to consider the issues in an abstract way and then transfer those ideas over to the realm of their own world and experience. Spec Can: What challenges and opportunities did you have when beginning to expand your writing interests into YA / Teen Fiction? Kelley Armstrong: I’d had an idea for a YA novel for a while (arising from the plot of Stolen) But I didn’t feel ready to tackle a teen narrator until my own daughter was old enough to help me with establishing the voice. Few things are uglier in YA than getting the point of view of a “teen” from an author who obviously hasn’t been a teen in a very long time! That was the biggest challenge. The biggest opportunity was the chance to write for a whole different market, which included my own children. Spec Can: What were the key differences in writing characters for YA than for adult fiction? Kelley Armstrong: While I cover a lot of narrator ages in my adult series, teens are much different. There’s the dialogue of course—making the characters sound like teens. But when I’m writing adults, whether they’re 25 or 45, they’re dealing with a similar set of issues (jobs, finances, marriage & children). Teens are at a different place in their lives, and the characters need to reflect that. They also have a limited set of tools for dealing with problems. If I have an adult character on the run, they can empty their bank accounts, get fake ID, hop on a plane and rent a hiding place. Fifteen-year-olds can’t. Spec Can: What drew you to write about the supernatural? Kelley Armstrong: I’ve been fascinated by the paranormal since I was a child. I blame it on too many Saturday mornings watching Scooby-Doo. By now, I have no idea why I’m so attracted to it—I just know that I love writing in this genre. Kelley Armstrong: I cherry-pick from as much existing folklore as I can find, to create creatures that best suits my vision, always looking at which traits would make the most logical sense if such creatures really did exist undetected in contemporary society. Spec Can: What is distinct or different about the supernatural characters you create? Kelley Armstrong: Nothing is uniquely my own. Where I deviate from the more common myth (like needing silver bullets to kill werewolves) I make those decisions based on what I consider most plausible. If werewolves needed silver bullets to die, what happens when they’re involved in what should be life-ending situations, like being run over by a transport truck? Do they just get up and walk away? Wouldn’t someone notice? For me, in the world I created, it made more sense if they could be killed by any means a human can be killed. But there’s plenty of folklore where werewolves can be killed by any means, so I’m not distinct there. I’m just selecting a less common trait. Spec Can: What werewolf myths do you create and how are they different than the werewolves of other authors? Kelley Armstrong: The most common werewolf in the twentieth century was the “man-killing beast,” some guy who changes into an ape-like or bear-like creature every full moon and ravages the countryside killing everything in sight. That’s scary, as monsters go, but it doesn’t really explain why such a creature is a werewolf. Wolves avoid humans. Wolf attacks on humans are extremely rare. I chose the portrayal that re-asserted the “wolf” in “werewolf.” Variations on it have been done many times, so it’s nothing new. Spec Can: Where do you think Canadian supernatural fiction is heading from here? Kelley Armstrong: I don’t think it’s heading anywhere different than supernatural fiction in general, which is beginning a downswing. It will never go away completely, but the market will be smaller. Spec Can: What is the role of “Otherness” and the figure of the outsider in your work? Kelley Armstrong: Well, the series is called “The Otherworld.” [Smiles] That’s a common term for a supernatural subculture within a contemporary society. It emphasizes the otherness of the people there. They form their own culture, based on that which makes them different from others. Spec Can: What is the role of gender in your Otherworld series? Kelley Armstrong: My goal is to let it play as small a role as possible. Of course characters are male or female, and shaped by that, but otherwise, as characters, they are equal—just as likely to be strong or weak, good or bad, intelligent and capable… or not. Spec Can: Your character Elena is the only female werewolf in the world of the Otherworld. What significance was there in creating a single female werewolf? What issues did you want to explore by focusing on her femininity? Kelley Armstrong: In a lot of the folklore, werewolves are male. This seems to arise from the use of werewolves to explain brutal behavior by people—they did it because they’re really part beast. Women represent a small percentage of serial killers and mass murderers (and, if they are responsible for multiple deaths, they usually use less bloody methods, like poisoning). So most werewolves in folklore are male. That made it easy for me to postulate a male-line genetic basis for it, and therefore have a single female, then explore what it would be like to be a woman in that very male-dominated world. Spec Can: What is the role of characters hiding themselves and ‘passing’ as human? Kelley Armstrong: My characters struggle with the same problems as everyone else–family, romance, career, friends. While it’s fun to create a vampire rock star, it takes a fantastical being and puts him in a “fantasy” lifestyle. Readers can relate better to supernaturals who are programmers, lawyers, journalists, professors etc. It’s also possible to create a world where everyone knows about the supernaturals, but that opened up problems and scenarios that didn’t really interest me. I was more interested in the identity issue of hiding one’s true self rather than the issues of fitting into society when you are openly different. Spec Can: Even though your characters are supernatural, they reveal a lot about the natural and the human experience. What is the role of the supernatural for revealing things about human beings and society? Kelley Armstrong: The supernatural can be a way of showing people dealing with issues in a larger-than-life fashion. I often have issues of identity in mine—finding one’s true self, accepting the self, finding one’s place in society. Having a character deal with being, for example, a werewolf lets me do that in a fun and entertaining way. Spec Can: What is the role of race and ethnicity in your work? Kelley Armstrong: My work is more concerned with supernatural race—how does being a witch or a sorcerer impact your life, how do you deal with those prejudices and expectations. Otherwise, it’s like sexuality. The characters are what they are, as they appear to me when I create them. They aren’t homogenously white and heterosexual, but I’m not checking off boxes either, to make sure I’m accurately representing modern society. In these books, it’s the supernatural type representation that’s more important for the stories I’m telling. Spec Can: What is the virtue of creating characters outside of the mainstream? Kelley Armstrong: They’re more interesting! [Smiles] You can explore different types of situations and explore them in unique ways. Of course, it’s also interesting to take a mainstream character and put them into those “outside of mainstream” situations, but I’ve found that my readership responds better to the outsiders. Spec Can: What do you hope your readers will take away from reading your novels? Kelley Armstrong: I hope they enjoyed it. That’s really all any writer can hope for—that a book did what it was supposed to and entertained them. Spec Can: Several of your characters express a desire to learn about themselves and the feeling of not belonging. What makes characters who feel that they don’t belong so interesting? Kelley Armstrong: I think it’s an issue that many readers deal with themselves. Most people feel that they are different from the mainstream in some way, which I think just means that mainstream is a far more narrow category than mass media would have us believe. Even the simple act of fiction reading isn’t often depicted in mainstream media—how often do characters seem to sit down with a book. Even if they do, it’s usually literary or “book club” not genre. Spec Can: Your book Bitten has been picked up as a television series. How involved will you be in the writing process? Kelley Armstrong: They’ve been keeping me informed and asking my opinion on various matters, but I’m well aware that this is their version of my story rather than a televised copy of it. Spec Can: What makes supernatural characters so interesting to today’s audience? Spec Can: What is the most challenging thing about writing the supernatural? Kelley Armstrong: I used to say the world-building, because that’s a huge part of the work. It’s fun, but it is a challenge. Now, though, I’d say that an equally big challenge is standing out in a crowded market. In a way, that’s tougher. With world-building, I’m in control. I just need to do the work. I can’t control the market, though. Spec Can: What was it like to be an author in residence at Trent University? Is there anything that you want to share about the experience with other authors? Photo of Kelley Armstrong with Jess Grover at Trent University’s Alumni House. perfect opportunity. Everyone was wonderful and eager to learn, and that made it a very positive experience that I won’t forget. Spec Can: What new projects are you currently working on? What new and exiting things should we be looking for from you over the next few years? Kelley Armstrong: I’ve sold a new adult trilogy that has some supernatural elements, but is more mystery. The first book, Omens, comes out in October 2013. I’m also trying my hand at middle grade, having just sold a Norse-myth-based trilogy that’ll be co-written with Melissa Marr. Both will start in 2013. I want to thank Kelley Armstrong for taking the time to do this interview and for letting readers know about her current projects. It has been a pleasure to talk to her again. The Gathering, the first book of Kelley Armstrong’s Young Adult/Teen Fiction Darkness Rising trilogy is set in the same world as her Otherworld series. The supernatural is real, but hidden in this world, kept secret by the members of the supernatural races that inhabit it. In The Gathering, Armstrong focuses on a teenage girl named Maya who was orphaned at birth and is being raised in a small town on Vancouver Island that is centred around a medical research facility. All of the families in the town are forced to sign confidentiality agreements and leaving the town can be problematic and nearly impossible. As an adopted child, Maya is curious about her roots and how her past has shaped her identity. She knows that she is half aboriginal and half white, but is unsure of which aboriginal nation she belongs to. Her adopted mother, a Haida woman, has been trying to give her access to aspects of Haida identity. But, Maya suspects there is more to her identity, and things become more complicated when she tries to get a tattoo to emphasize her cat’s paw birthmark and is called a witch by the tattoo artist’s aunt because of the mark. Her curiosity is further aroused when a stranger shows up in town asking all of the children questions. Maya and her compatriots begin a quest to find out who they are and what brought them together that opens doorways into cabals, secret genetic research, the mystical, and the murderous. The children, like most kids, are left in a world of uncertainty, unsure who to trust and unsure whether the ‘truths’ they have used to guide their lives have any validity. 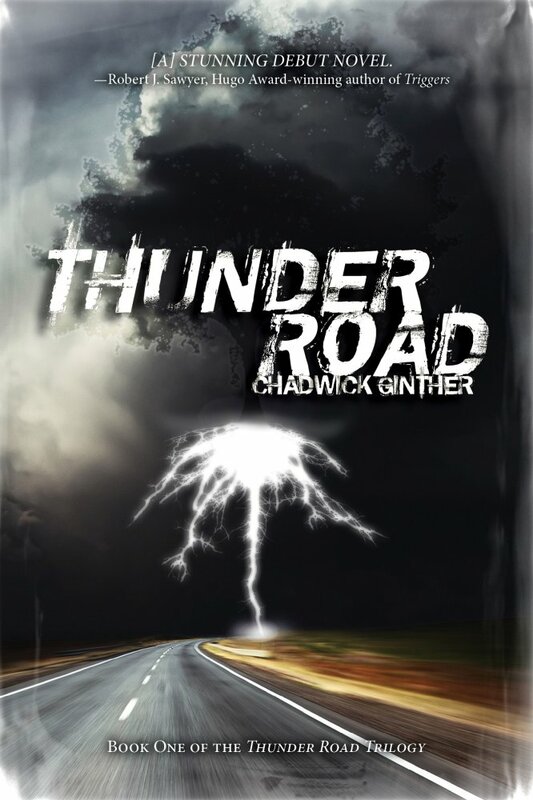 This novel is a traditional YA search for identity story with a supernatural flavour as her characters challenge their beliefs about themselves and the nature of their reality. Armstrong creates a quick-paced read that leaves the reader feeling like they are running through the forests of British Columbia with her characters. The role of the forest and the presence of animals is felt strongly in this novel and Armstrong does a good job of capturing the battle between the instinctual and the intellectual among characters caught on the fringe of the human and the animal. She captures the joy of animal existence as well as the threat embodied in it and the fear and uncertainty in human-animal interactions. Armstrong leaves her readers on edge, waiting for the next book in the series.